Satisfying granola was on my Trim Healthy Mama menu plan twice this week, so I thought I had better get in the kitchen and make a batch. The nice thing about this recipe is that you get to pick and choose the nuts and seeds you like, and in what quantity. I just poured things into the oven tray until they looked about right. Note: I soaked my pumpkin seeds and sesame seeds in a jar of water with 2T apple cider vinegar overnight and then rinsed them through a sieve and dried them at about 75°C for a couple of hours before mixing the rest of the nuts and seeds in. The point of soaking is to reduce phytic acid in the seeds, increase enzyme content and make all the seed nutrients more available to our digestive systems. Otherwise most of the goodness just passes through untapped. 1. Preheat oven to 135°C. 2. In a large oven dish, mix together your desired quantities of seeds, nuts, ground flax, coconut oil, vanilla extract, stevia-based sweetener and spices. 3. Bake this mixture in the oven for 40-60 minutes, stirring every 15 minutes to crisp all the contents and prevent burning on top and around the edges. 4. 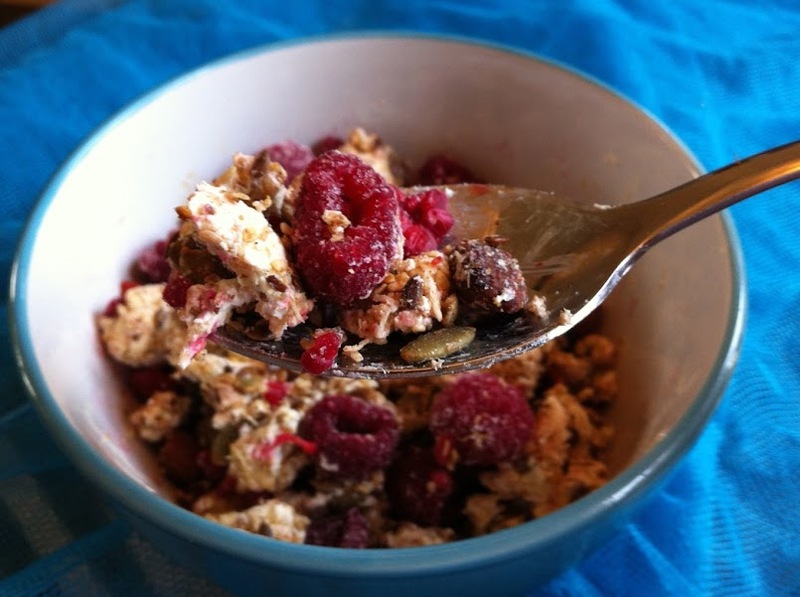 Once mixture looks deliciously golden brown, remove it from the oven and add desiccated coconut and dried goji berries. 5. Stir mixture and leave to cool. 6. Once cool, transfer to an airtight container for pantry storage, or to a large ziploc bag for freezer storage. 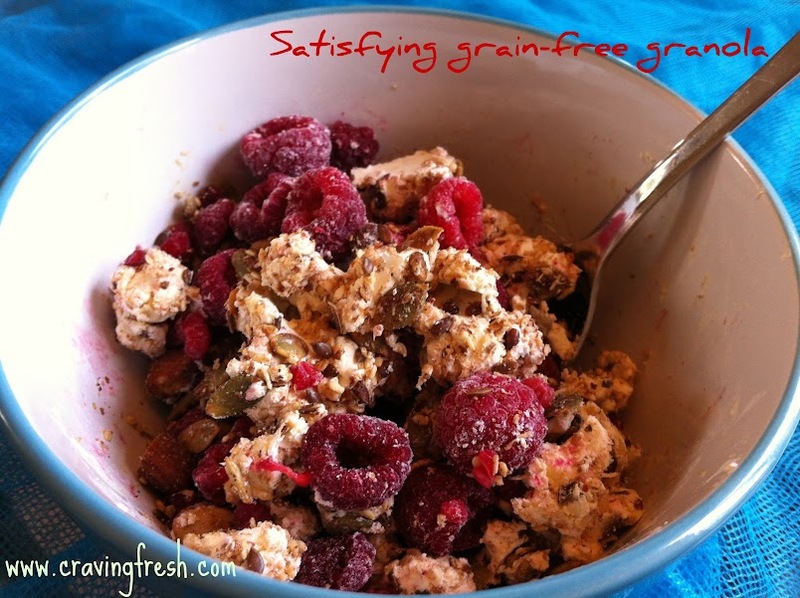 Eat this granola for breakfast with greek yoghurt or cream/cream cheese and frozen raspberries. The Trim Healthy Mama authors also recommend using it as a scrogan-type trail mix by bringing a little baggie of it with you when you're out running errands. Yum! That sounds delicious and nutritious. My favourite combo!